KAMPALA– The hearing of the case in which Makerere University Researcher Dr. Stellah Nyanzi scheduled for Monday flopped. Dr. Nyanzi was accused of insulting the President’s mother this year. As soon as she arrived at court, Nyanzi was taken to Grade one Magistrate Mr Robert Mukanza who informed her that the trial magistrate was away. “The trial magistrate, Ms Gladys Kamasanyu is not around and I have instructions to adjourn the case until December 19,” Mr Mukanza said before further remanding her. In her previous appearance, court heard that investigations are complete and the case was ready for hearing. Nyanzi has since pleaded not guilty to the charges of harassment and offensive communication. 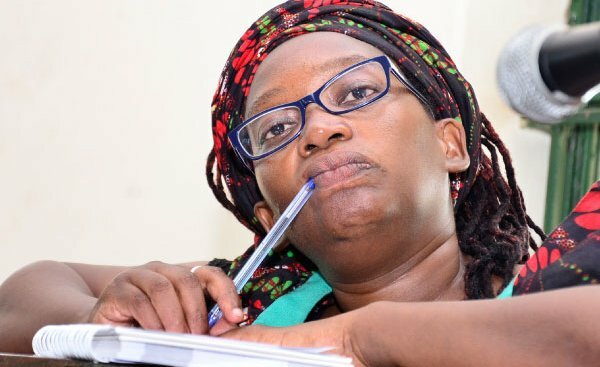 Prosecution states that on September 16,2018 at Kampala District or thereabout used a computer to post on her Facebook page “Stella Nyanzi” wherein she made suggestions or proposals among others that she wished his Excellency Yoweri Kaguta Museveni’s mother Esteri’s cursed viginal canal had burnt upon his unborn feotus which suggestions or proposals are obscene lewd or indecent. It is further stated that on the same day Nyanzi used electronic communication to post messages offensive in nature via Facebook, transmitted over the Internet to disturb or attempted to disturb the peace, quiet or right of privacy of the president with no purpose of legitimate communication. Nyanzi was arrested on Friday last week from Wandegeya police station where she had gone to seek permission and security to organise a peaceful demonstration against Makerere University’s refusal to re-instate her as a researcher following a 2-year suspension due to alleged misconduct. However, this is not the first time Dr. Nyanzi is charged before court on offenses relating to attacking the person and privacy of President M7. It should be remembered that in 2016, she was charged before Buganda Road court on similar offenses and remanded for a month at Luzira prison but was cautioned not to post further offensive messages to the first family until the final disposal of the case. However, this case has since been pending awaiting the Constitutional Court to determine a petition she filed challenging the compulsory subjecting of all criminal suspects to a mental examination procedure before trial. Nyanzi was arrested from Wandegeya police station where she had gone to seek permission and security to organise a peaceful demonstration against Makerere University’s refusal to re-instate her as a researcher following a 2-year suspension due to alleged misconduct.